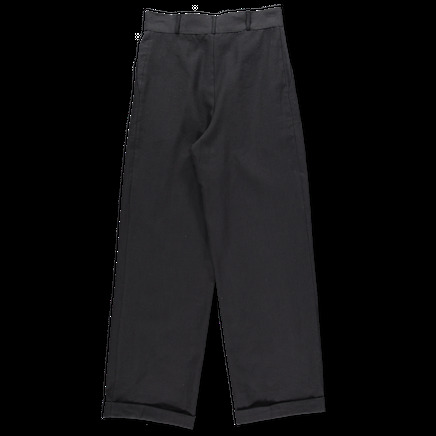 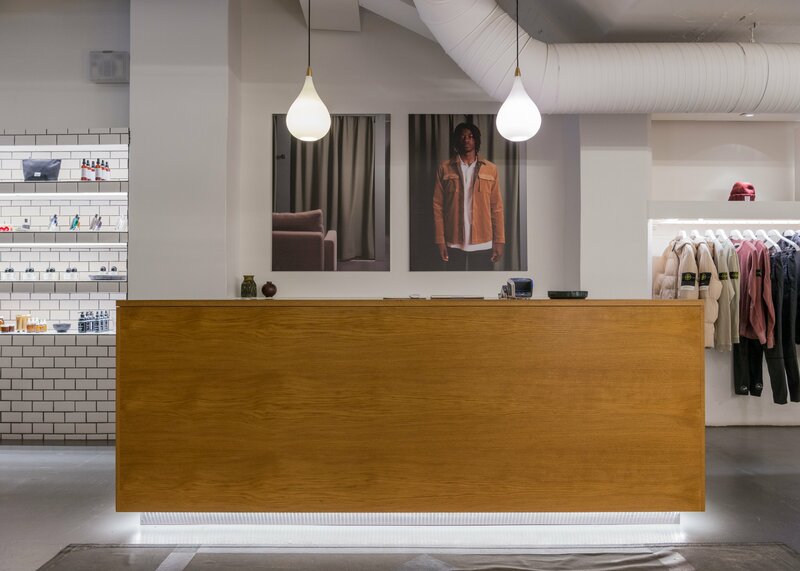 Como Pants from Baserange. 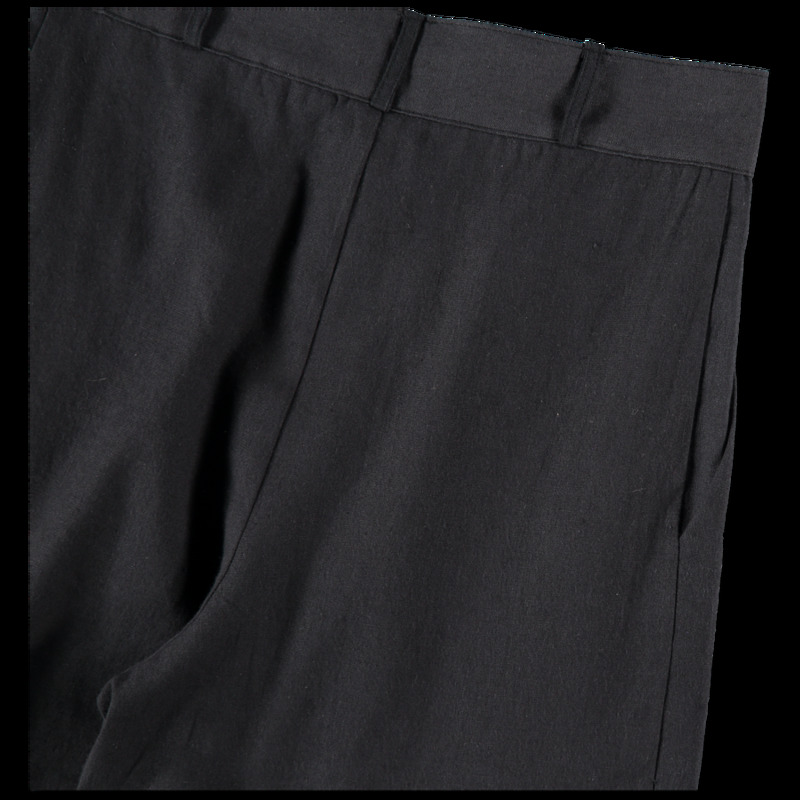 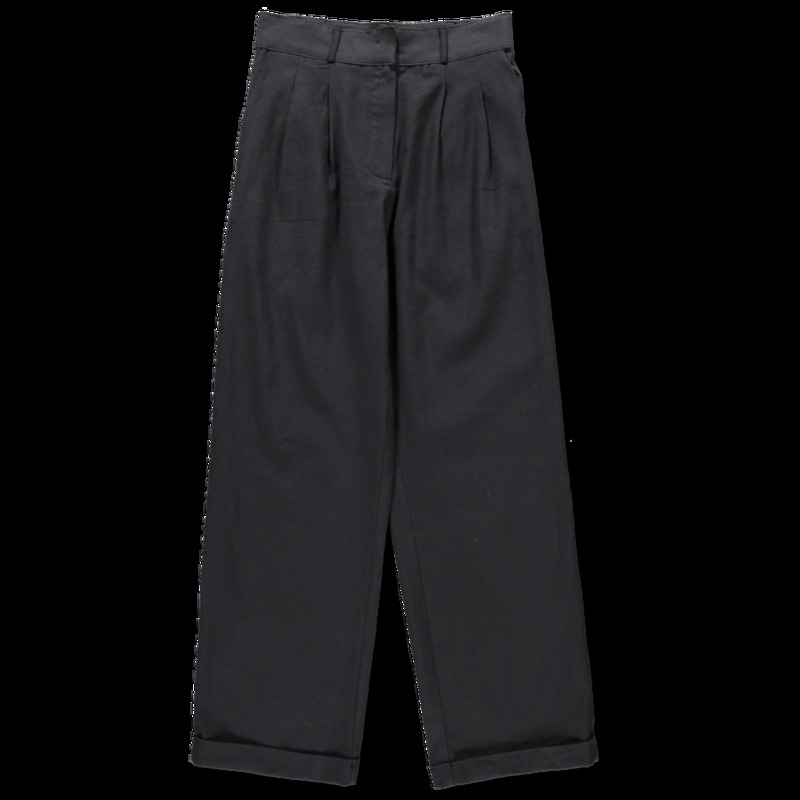 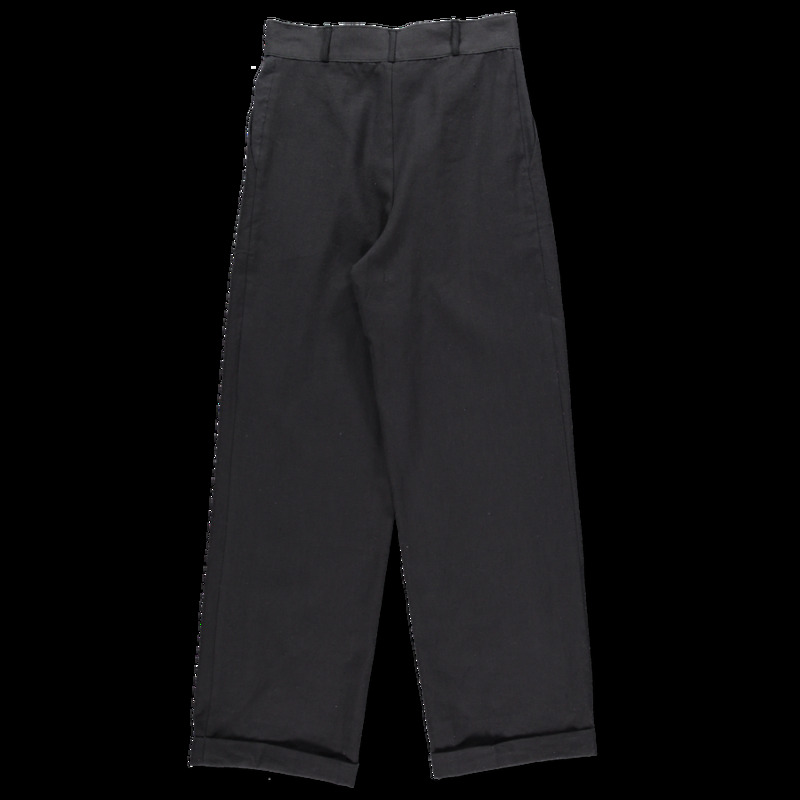 High wasited pants with pleats. 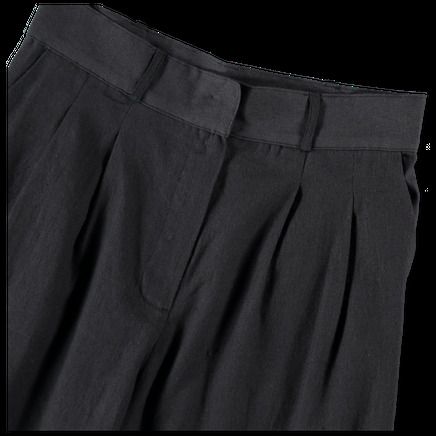 Hidden button and zipper closing. Two side pockets, belt loops and a long wide leg. Cuffed leg.